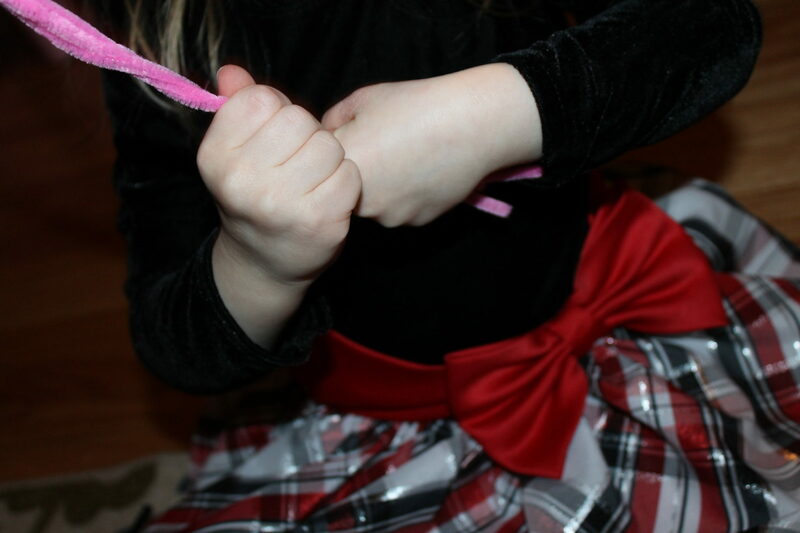 My daughter loves to play with tape. 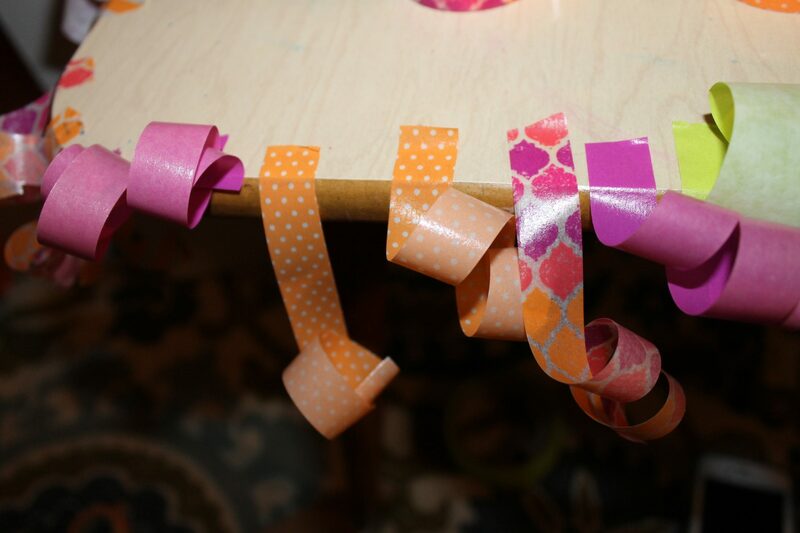 We have many decorative rolls of masking tape & washi tape and Mai loves to get her hands on them. Unfortunately, she likes to tape it to our walls. 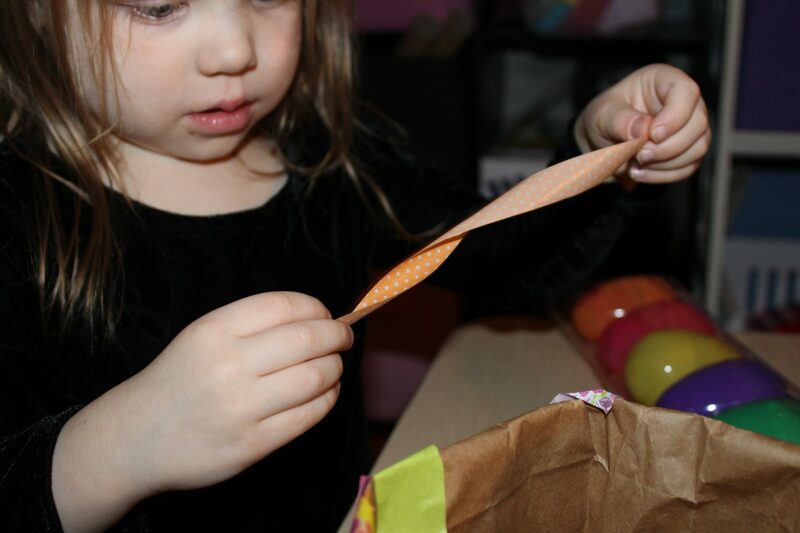 We needed to find a fun project for her so that she could use that tape in a better place. 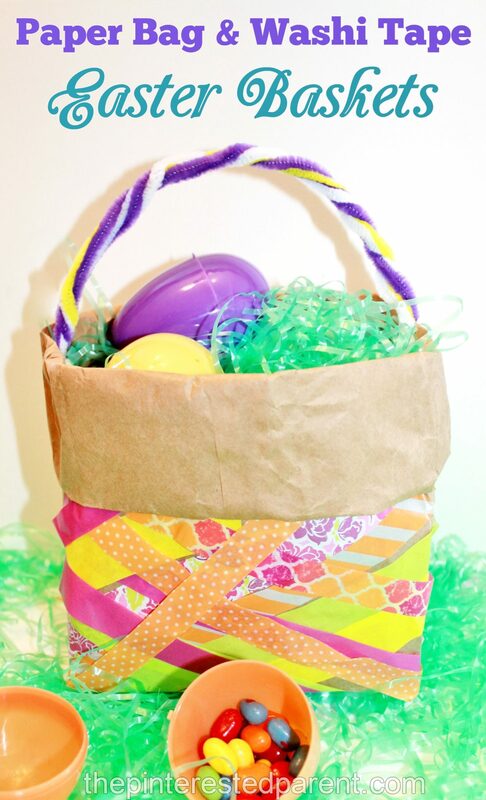 Easter is on its way & we decided to make some cute little Easter baskets. 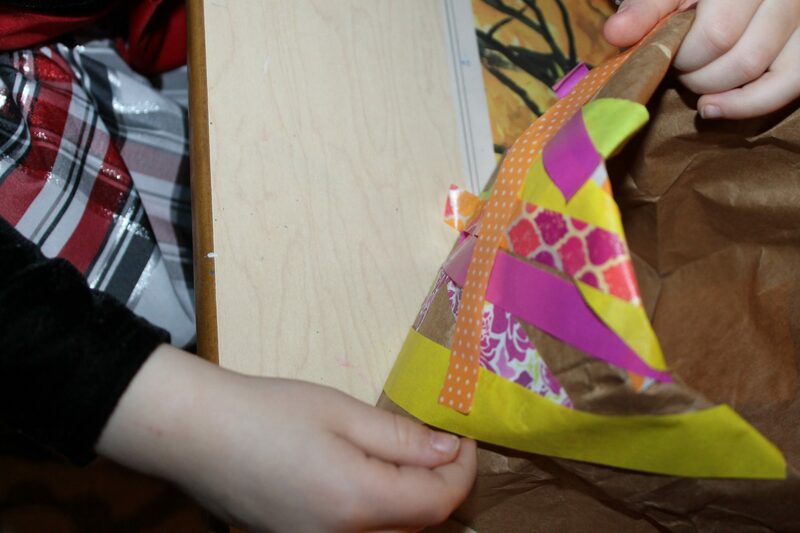 Our tape would be perfect for creating the weaving pattern. 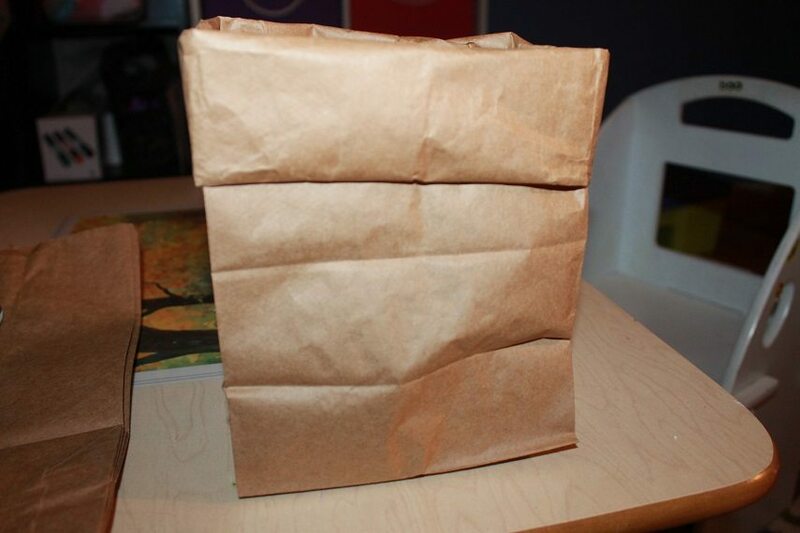 Roll the top of a brown paper bag down. 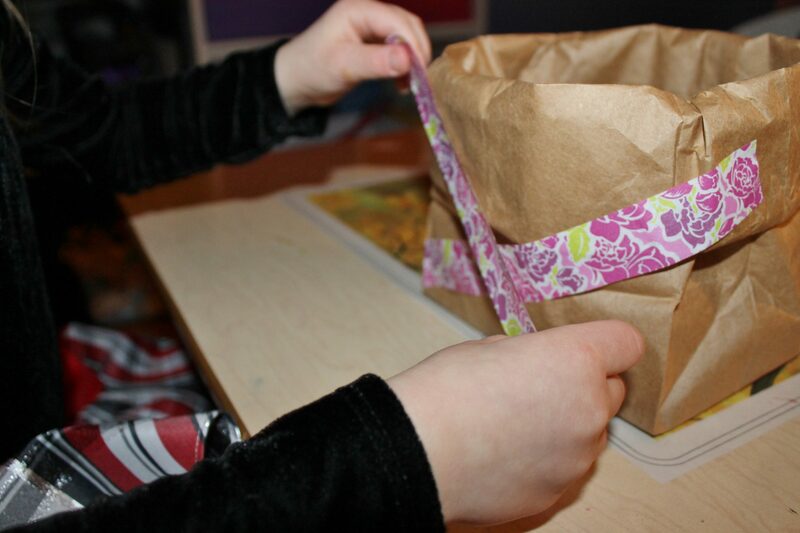 Tear off a bunch of pieces of tape to make it easier to grab. 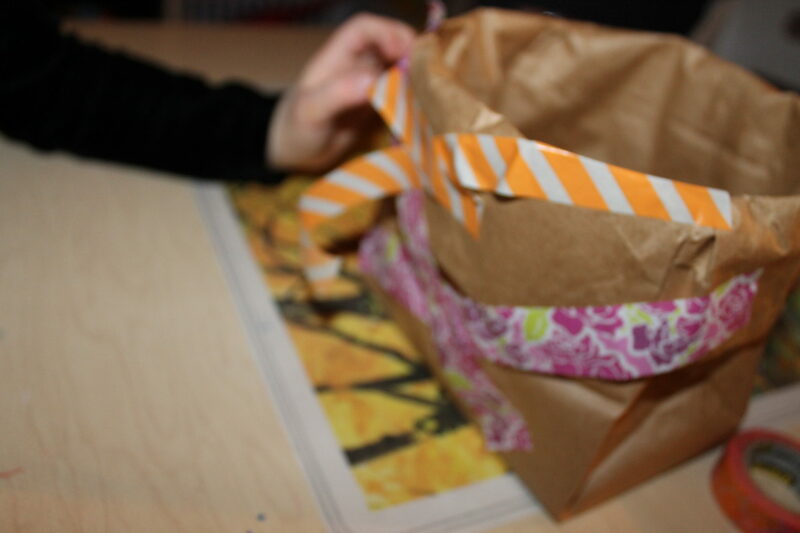 Take the pieces of tape & press them onto the bag in a diagonal criss-cross pattern. 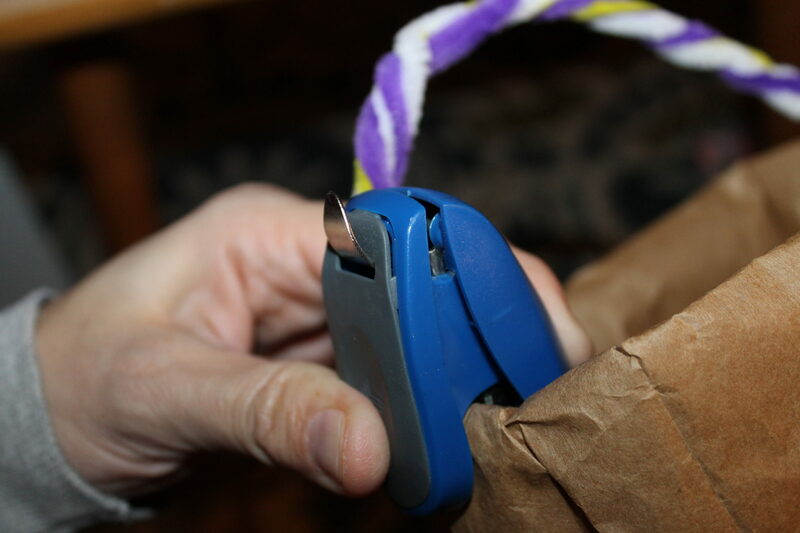 Twist a few pipe cleaners together to form your handle. 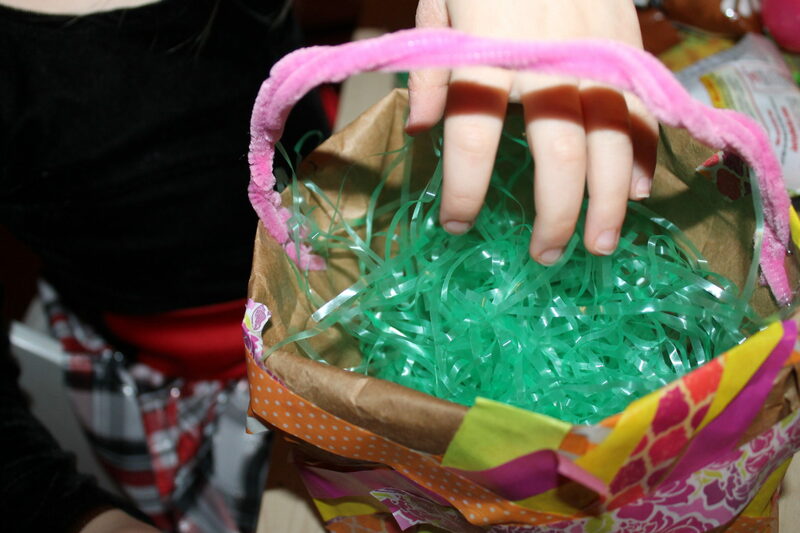 Staple the pipe cleaners to the paper bag. 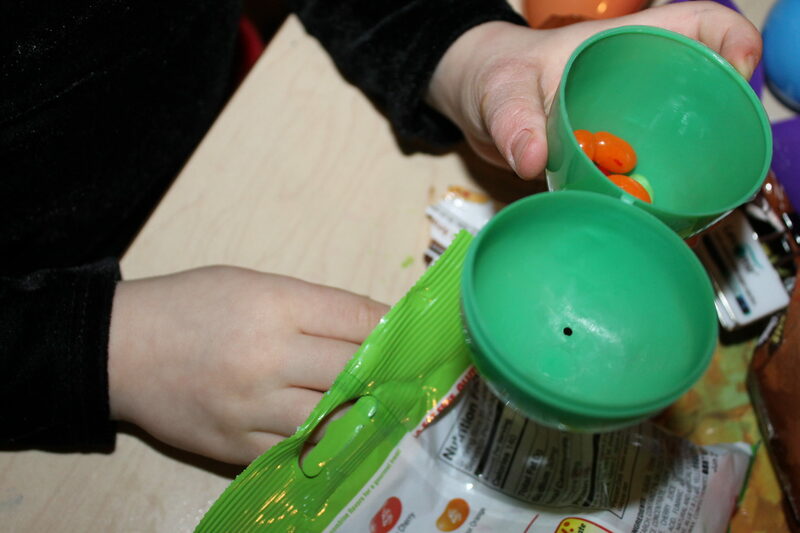 We stuffed our baskets with Easter grass & then stuffed a few Easter eggs with jelly beans to go into them. 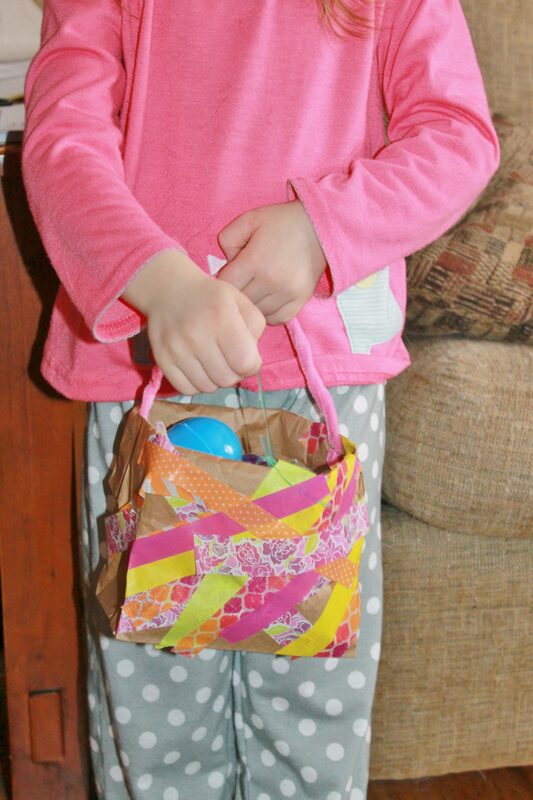 My daughter was very proud of her Easter basket & was pretty excited about the jelly beans too. Mai loves the tape too. 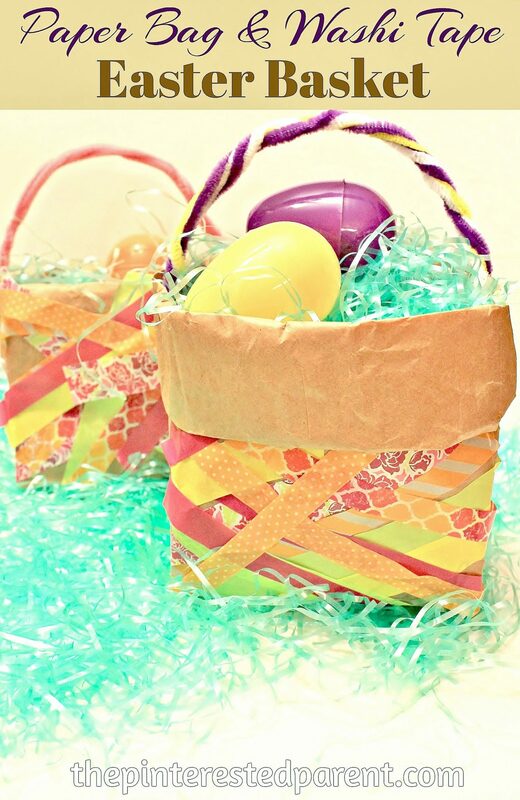 She has been carrying her basket around. Thank you. These were fun. Thank you for including me.